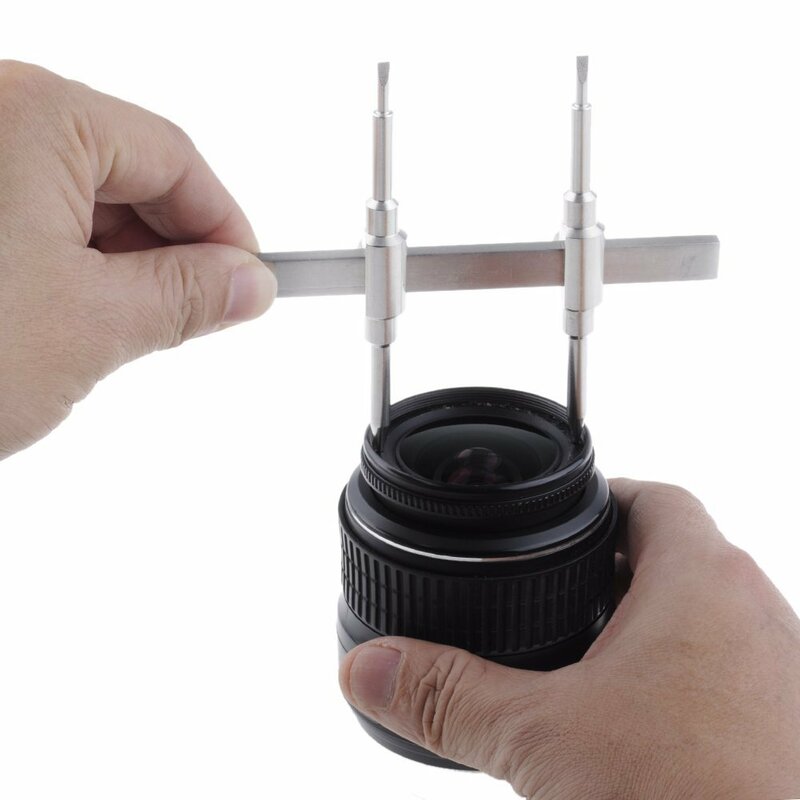 Camera lenses eventually need a little checkup to keep them working smoothly and cleanly. Here’s some general advice when performing a CLA – Clean, Lubricate, Adjust. Lenses contain very small and delicate parts. Using the right tool can mean the difference between improving your lens and destroying your lens. For loosening and tightening all of those tiny screws, make sure to use a properly sized screwdriver. For flat head screws, the tip of the screwdriver should be almost as wide as the head and thick enough so there is no play in the slot. I have an array of fine flat head screwdrivers: 0.8mm, 1mm, 1.2mm, 1.5mm, 1.8mm, 2mm, 2.5mm, 3mm, etc. On paper the minute differences between these sizes seems unnecessary, but in practice it means the difference between unscrewing the screw and breaking off part of the head. Those tiny set screws don’t have a lot of material around the slot, so an improperly sized screwdriver can easily snap off a side, making it difficult or impossible to remove. As a side note, while the Wiha screwdrivers are nice, I own a no-name, cheap, made in taiwan interchangeable tip screwdriver set that seems to be built just as well. The tips actually fit better in the little lens screws. I don’t recall where I got it, otherwise I’d post a link. If you’ve tried your hand at CLA you’ve probably come across rings with notches on opposite sides. These require a special tool called a spanner wrench. They come in different varieties, but all basically allow you to more safely remove these rings. I own the inexpensive Neewer brand in the pic and it works quite well. It’s important to have both flat blades and pointed ends. I also own a Fotga Pro model that has angled tips and finer flat blades. It’s helped me grab ahold of the smallest spanner slots. Be sure to have a firm grip on the tool, unlike the hand in the photo. Some of the rings on lenses are stuck on tight. A slip could mean a scratch on the metal, or worse, across the lens coating. Adjusting the tools to avoid scratching the edges of the metal is a game of fractions of a millimeter. A handy alternative to spanner wrenches are silicone and rubber lens tools. They become a necessity when there are no notches to grab onto. 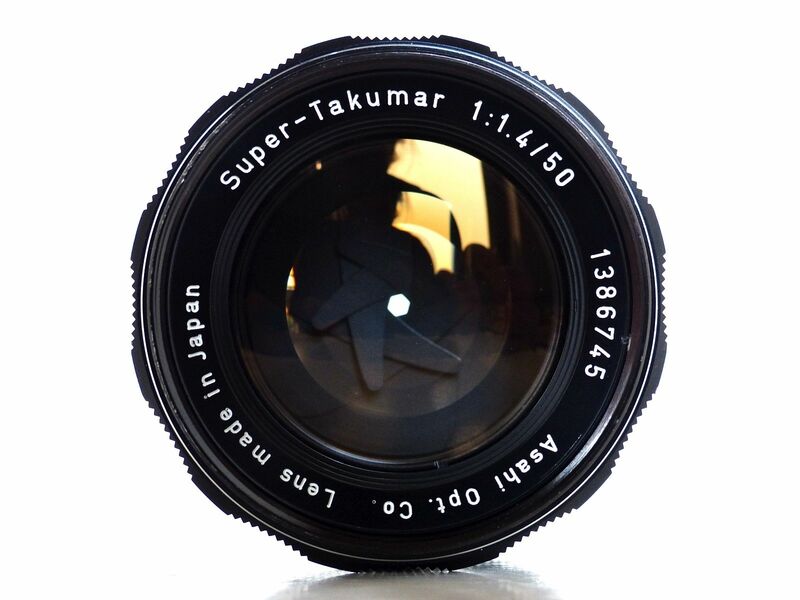 Usually you’ll need them to remove name plates from the front element, like on these Takumar and Tamron lenses. 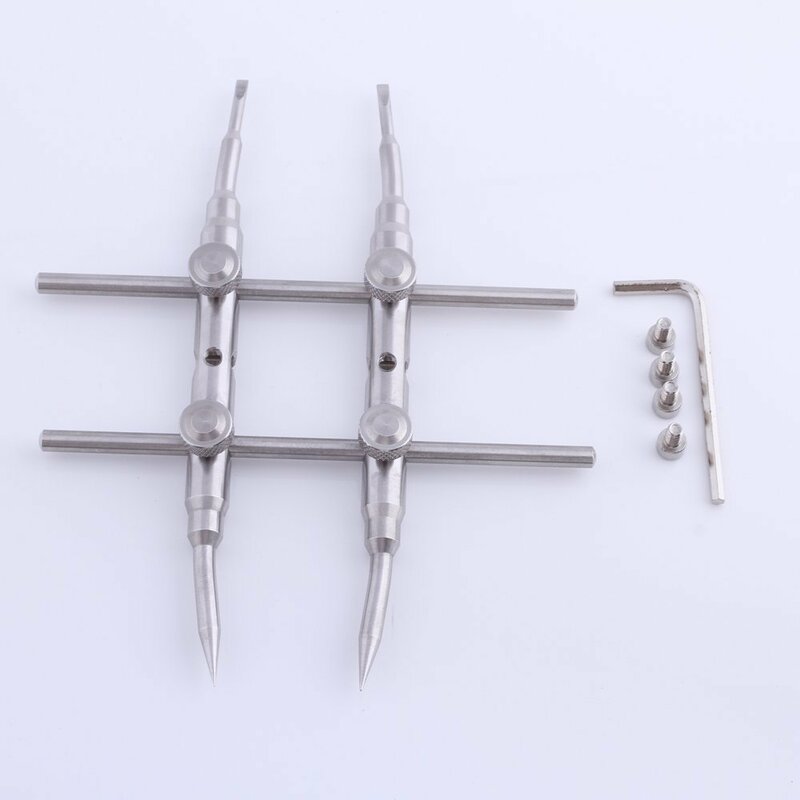 The Desmond Tools are really nice. They have a knurled metal grip and a strong, shaped silicone part that grips nameplates and other lens parts. You can buy the whole set of nine for $80 and it covers a nice range of sizes. That might be more money that you are willing to invest, but if you think you’ll do more than three or four lenses it’s a worthwhile investment. They are also sold individually. In addition to using the right tool, you need the right cleaning supplies. 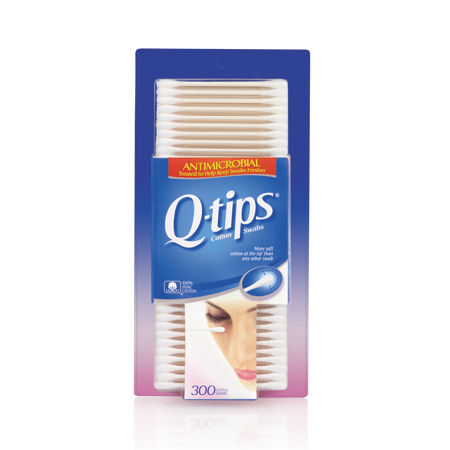 My go-to favorites are Naphtha, Acetone, and cotton swabs (Q-Tips). 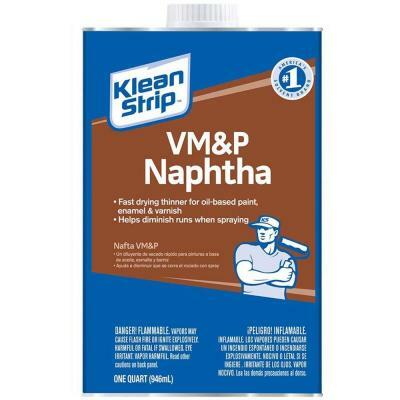 Naphtha is good for cleaning any part of a lens. It won’t dissolve plastics or remove paint. It removes grease and dirt well, leaving very little haze. 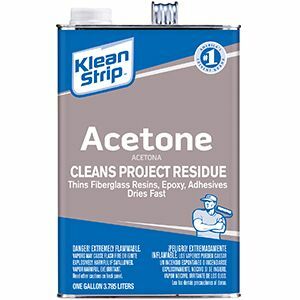 Acetone is my favorite. It dissolves oil and grease better than Naphtha, but does remove paint and softens rubber and plastics. It’s excellent on helicoids and most internal parts. It’s also safe on anodized and other chemically colorized metal surfaces, as well as lens elements. 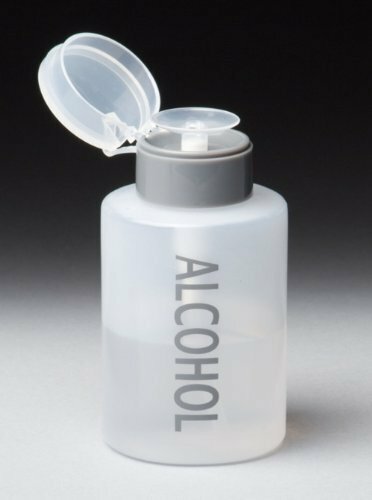 It can also leave a haze, so high percentage rubbing alcohol is also handy to have around. Try to get 95% or higher. If you plan on working on a lot of lenses it’s a good idea to get some dispenser bottles. They make it easy to dab the tips of the cotton swabs and prevent the liquids from evaporating. 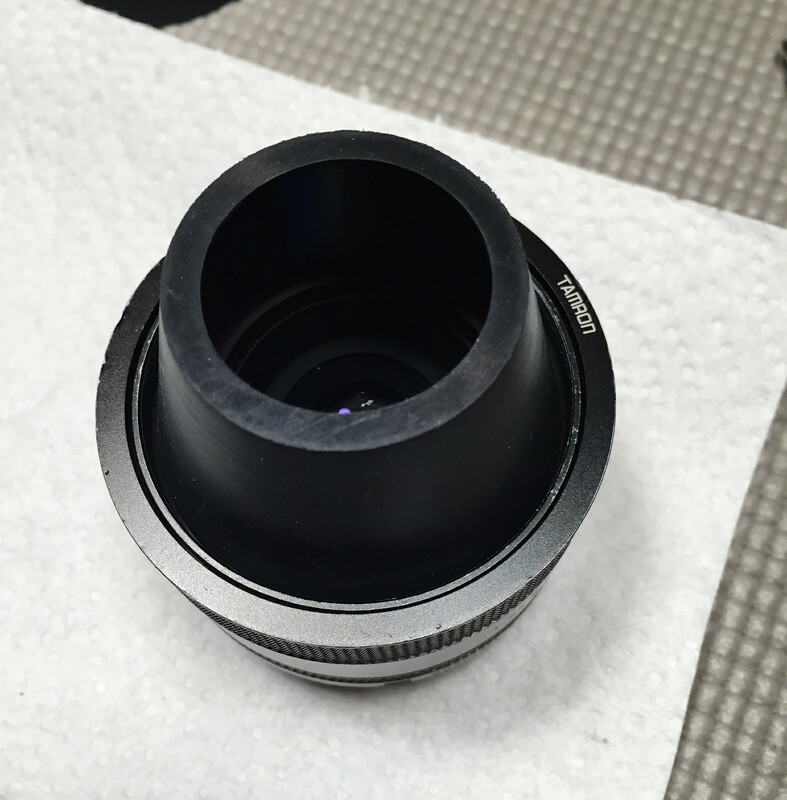 Lenses generally only go together one way, so if you have left over parts you’ve made a mistake. Keep track of the parts and take pictures before you disassemble so you know how to put it back together. Especially keep track of the ball bearings on aperture rings and tiny screws. Screws are different lengths for a good reason. Also, make note of where the helicoid lines up when you unscrew it. Make a mark on the metal or take a photo that allows you to screw it back in the same position. This can save you headaches during reassembly. One of the most important parts of CLA is the L – lubricate. In my experience with cleaning lenses, most old lenses have what appears to be a thick petroleum type lubricant. I don’t know exactly what it is, but it worked well for 30 or more years. What you don’t want in your lens is a lubricant that turns liquid and runny. It can get into areas it shouldn’t and cause trouble. A common issue in old lenses is oil on the aperture blades. It can cause them to stick, so they don’t open quickly or at all, and at worst can capture moisture and cause rust. Equally bad is oil vaporizing and clinging to lens elements, causing haze. This is one good reason to not leave your lenses in direct sun or extreme heat. When I first started CLA on lenses I used lithium grease. 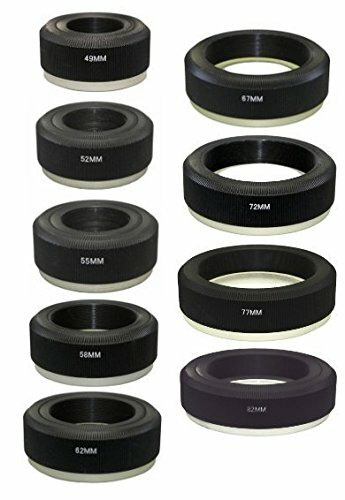 It’s often used in automobile applications and is a good choice for camera lenses. 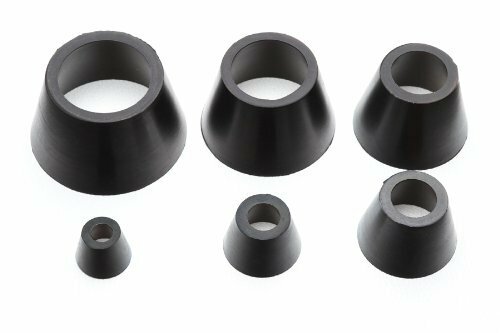 It is very heat resistant and has a viscosity that creates a nicely damped feel on moving parts like focus,zoom, and aperture rings. It can be oily, but there’s really no way around oil when it comes to moving parts. 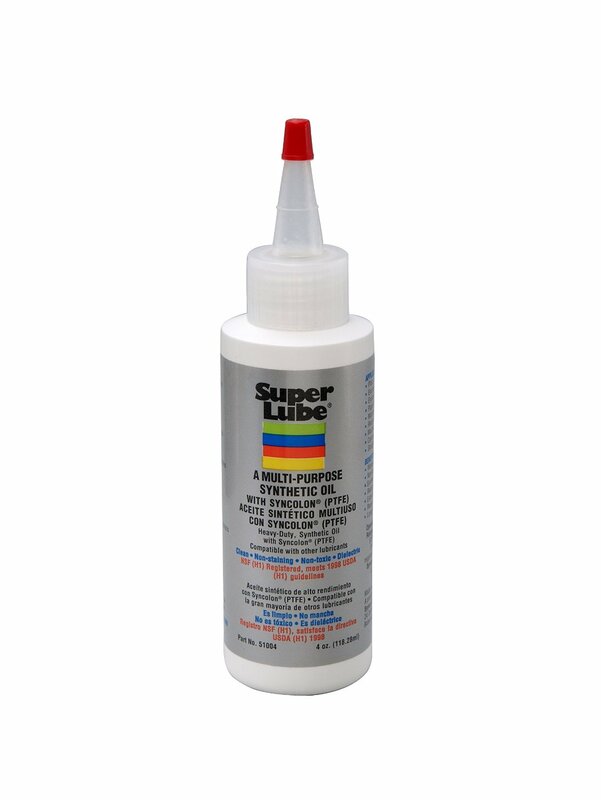 I’ve been made aware of another lubricant called “Super Lube 51004 Synthetic Oil with PTFE”. Its a very fine lubricant that has some special ingredients that make it a good choice for lenses. It’s supposed to not vaporize, which means it won’t form a haze on your optics. Because it is very fine it doesn’t dampen or cause resistance at all. This is great for parts that you want to move as easily as possible. It also has PTFE, which is Teflon, and it really helps reduce friction. 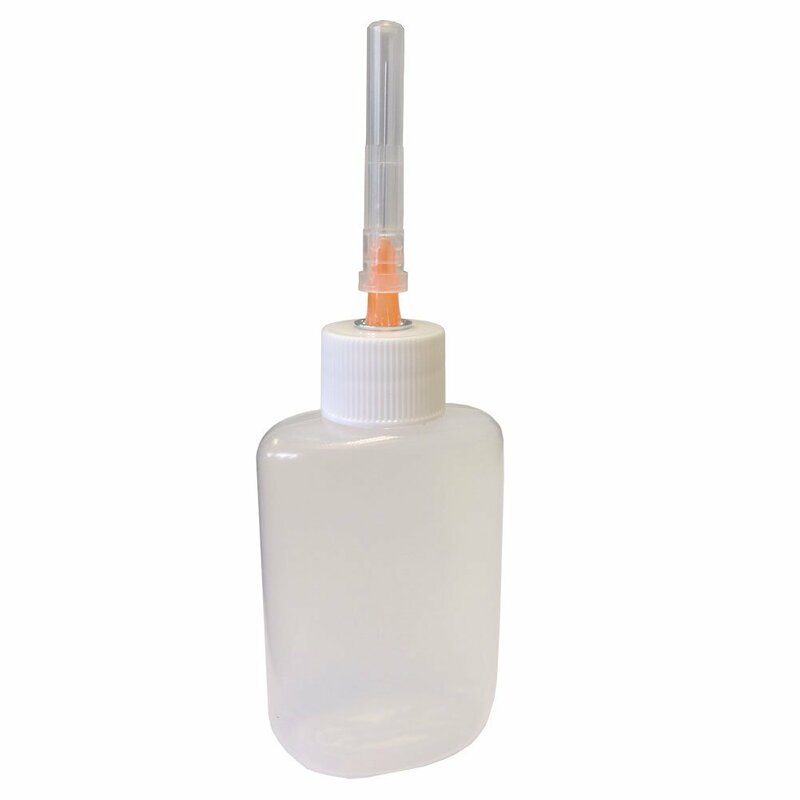 To make application of the Super Lube easier I purchased an applicator bottle with a syringe-type needle. It allows for very controlled and careful placement of the lubricant. This is especially useful since a little bit of the Super Lube goes a long way.